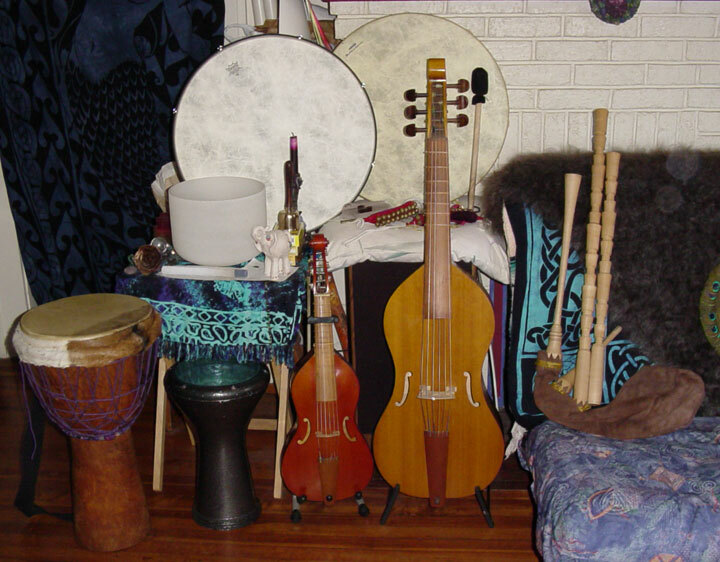 Shown below, from left to right: Front row: Djembe, dumbek, treble Viola da Gamba, bass Viola da Gamba (made by my father), Praetorius bagpipes (which I made). 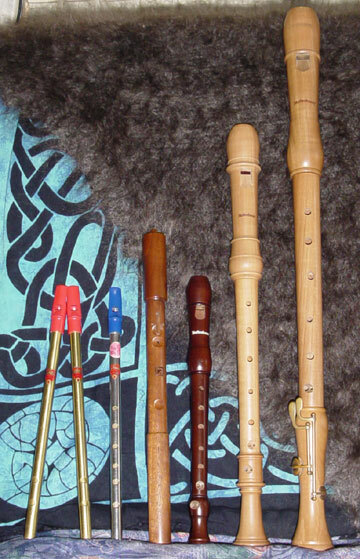 With a father who builds harpsichords (as well as other instruments) and a mother who plays nearly everything (so it seemed) there was no escaping from music, particularly classical and more especially "early" music (Medieval and Renaissance). 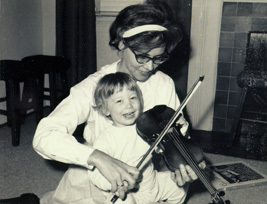 I would have to say that my biggest influence in music has been my mother. 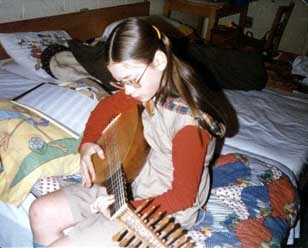 She got me started at an early age on various instruments, and now I play a variety of instruments, including Viola da Gamba, recorders, cornamuse, hammered dulcimer, classical guitar, and am starting to get into percussion with my five drums: djembe, dumbek, bodhran, 22" Middle Eastern style frame drum, and buffalo drum. 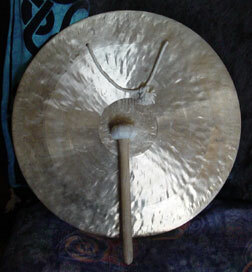 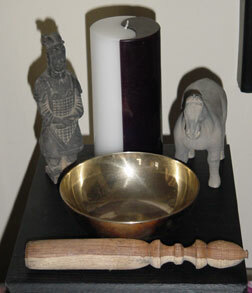 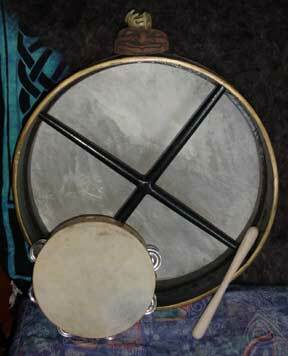 I also have a gong and a 4th chakra bowl, and love to sing (soprano, alto, tenor) as well. 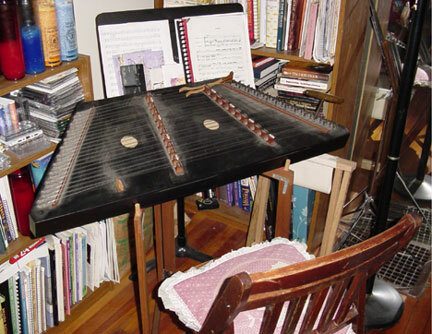 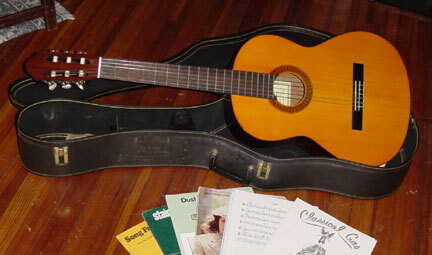 Above is my hammered dulcimer, and below, my classical guitar.